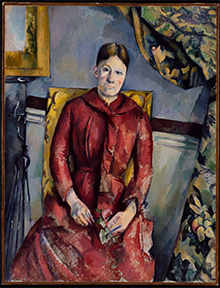 Paul Cézanne (19 January 1839 – 22 October 1906) was a French artist and Post-Impressionist painter whose work was greatly influential to young artists who came after him. He wasn't so popular when he was young, and didn't have his first major exhibition until he was fifty six. 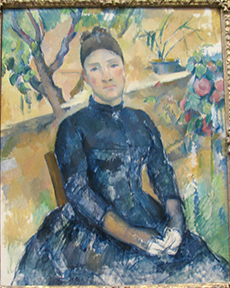 "'I wanted to make of impressionism something solid and enduring like the art of museums', I said as much to Maurice Denis..."(Reminiscing with Joachim Gasquet, as quoted by Alex Danchev, _Cézanne: A Life_, (Pantheon Books, 2012), page 197. But he struggled! He felt he was only dimly understanding this new way of seeing. "'I could paint for a hundred years, a thousand years without stopping and I would still feel as though I knew nothing.' 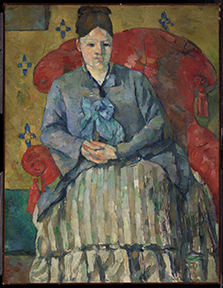 (Cézanne to his art dealer Ambroise Vollard, c.1896, from Ambroise Vollard, Paul Cézanne, 1914) As quoted in _Cézanne Portraits_, edited by John Elderfield (Princeton University Press, 2017), page 235. 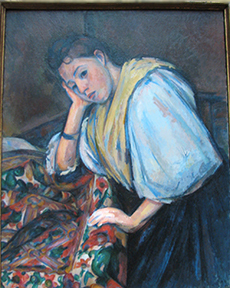 _Cézanne: A Life_, (Pantheon Books, 2012), page 359. 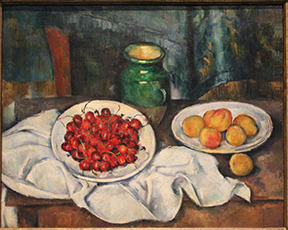 Cézanne Catalogue, the best comphrensive gather of ALL Cézanne art, oil paintings, water colors and sketches!